Urban Angels collaborate with many different artists such as, costume makers, videographers, visual artists to make stunning, memorable performances. The projects vary in size from the intimate to the epic. 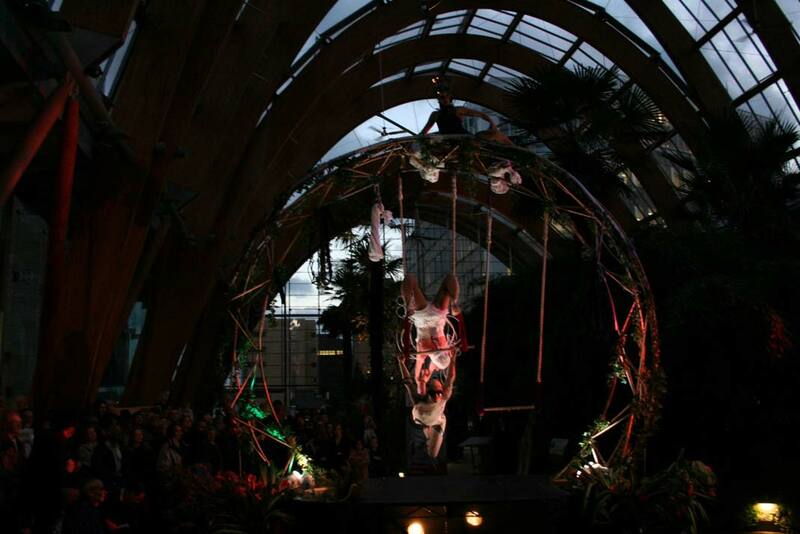 We tour aerial performances in the UK and beyond We have worked throughout Europe and further afield in the Caribbean. We also do circus projects with communities that are fun and quirky. They often combine different art forms such as knitting and trapeze. See the Greatest Circus Knitting Project Ever.